As part of the four-day event, Diamandis joins a packed agenda of international influencers, experts, and technologists who will explore digital transformation, the augmented workforce, and how technology complements, rather than replaces, the human’s unique qualities and strengths. 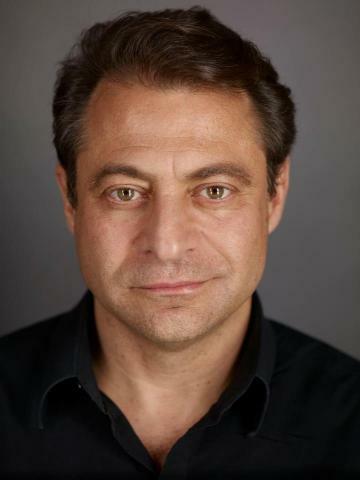 Known for saying “The best way to predict the future is to create it yourself,” Peter Diamandis is a perfect addition to the LiveWorx lineup. Diamandis, who was recently named one of the World’s 50 Greatest Leaders by Fortune Magazine, is the founder and executive chairman of the XPRIZE Foundation, a world leader in designing and operating large-scale incentive competitions. He is also the executive founder and director of Singularity University, a global learning and innovation community using exponential technologies to tackle the world’s biggest challenges. Diamandis co-founded a venture fund that invests specifically in exponential technologies and has started over 20 companies in the areas of longevity, space, venture capital, and education. He is a New York Times bestselling author. To experience his keynote presentation, as well as hundreds of breakout sessions and the Xtropolis™ interactive technology playground, register to attend LiveWorx from June 10-13 in Boston’s Seaport Innovation District at www.liveworx.com/register. Jeff Hojlo, the Program Director of Product Innovation Strategies for IDC Manufacturing Insights, leading IDC’s research and analysis of the PLM and collaborative innovation market. To request a press pass, please contact Alexandra Puig at [email protected].